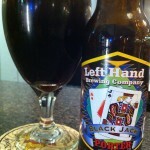 Left Hand Brewing’s Black Jack Porter pours nicely with a rich looking head that fades to mild lacing with a little head around the edges. The aroma comes off a little dry and chocolaty. The color is a very deep amber to not quite black color. The light comes through giving it a nice appearance. The SRM is between 32 and 35. The taste starts out flat on the mouth with a dry maltiness that fades into the back of the mouth to be lost. Overall, this beer starts out very nicely. 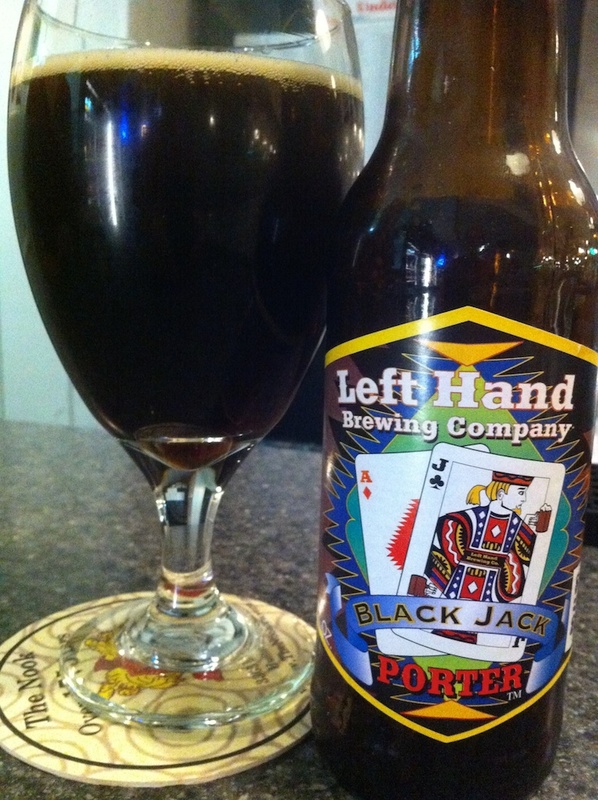 The mild finish could make this beer a great session beer for some, but the lack of character doesn’t impress me for what I expect in a porter. The ABV is 6.4%.